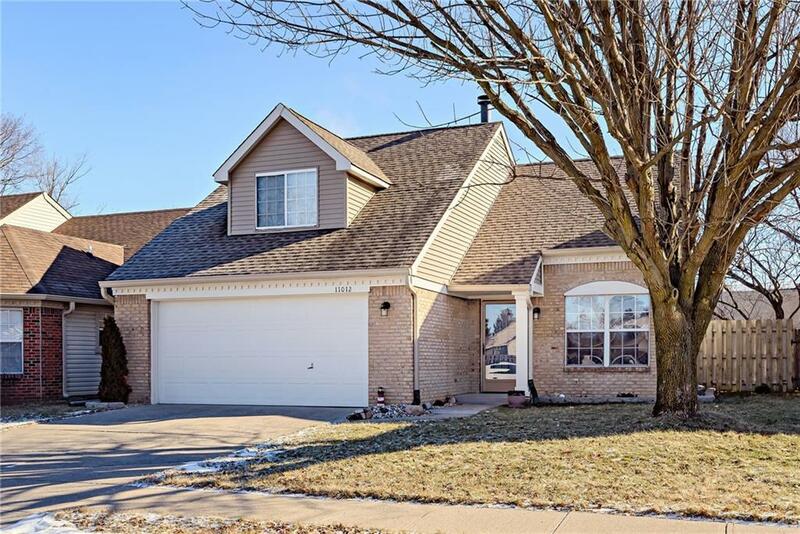 Welcome home to this wonderful move-in ready, meticulously maintained home in Fisher's Gatewood neighborhood. Step in to the open concept, freshly painted living space with its high cathedral ceilings and comforting wood burning fireplace. Kitchen with breakfast bar has been updated with freshly painted crisp white cabinets. This 2 bedroom, 2 full bath home also offers a large loft area that could function as a 3rd bedroom or office space. Your master suite features a large walk in closet and modern, updated master bathroom w/double vanity. Grab your favorite beverage and head out to enjoy the large deck in your backyard, with a fully enclosed privacy fence. RWS Home Warranty provided for buyer.